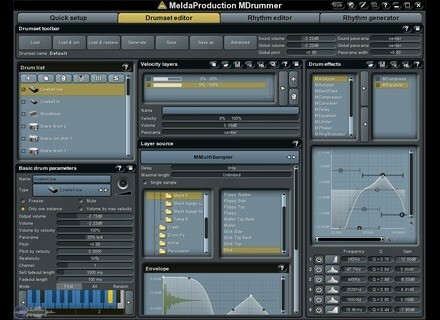 MDrummer 2 Large, Virtual Drum Sampler from MeldaProduction. 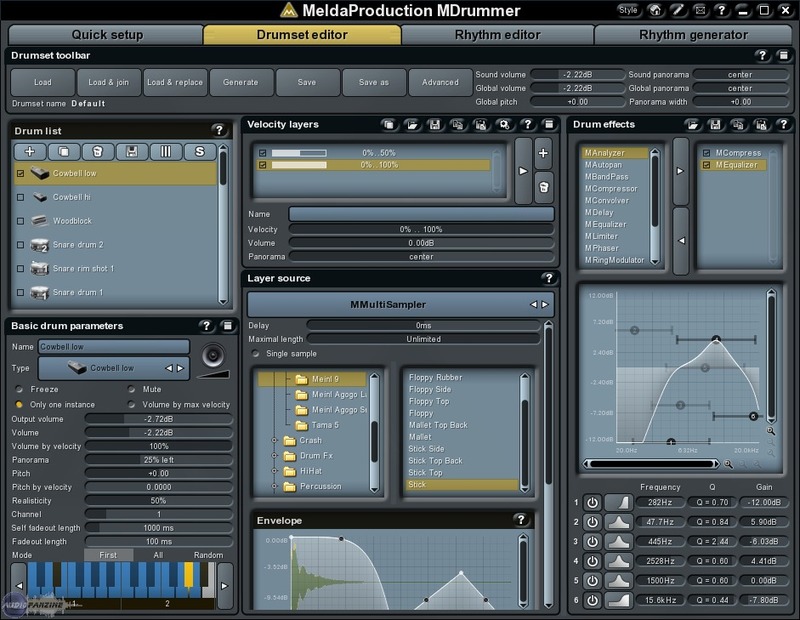 MeldaProduction has updated MDrummer to v2.10. Double clicking on a track and note creation selects all notes and particular drum in drumset editor. Click on a drum button in mixer selects particular drum in drumset editor. More accurate settings in MCompressor and other effects. Reversed direction of resonance for band-pass. Output volumes are edited in mixer. Shortcut "A" for drum sound is now not affected by pitch-by-velocity setting. Fix: End of volume envelope detection. Fix: Removed "disabled" loop type, since it is useless. Fix: Cursors in loop editor. Fix: Entering space and upper-case letters for layer name. Fix: MVibrato with 0% phase difference caused crash. Fix: Deleting a loop occasionally did not redraw. Fix: Envelope smoothness controller dragging. Fix: Some rare multithreading problems. More information available at www.meldaproduction.com. Mutools Mu.Lab Updated to v2.5.3 MUTOOLS has updated MU.LAB to v2.5.3. Sonart Releases Kiki Minimal Library Sonart Audio presents Kiki: Minimal with 810 minimal house drum loops and 1.1Gb of minimal & electro-house sounds. Christian Budde Fast Multiband Compressor Christian Budde has released Fast Multiband Compressor and updated the Fast Soft Knee Compressor, Limiter and Gate plug-ins.